The “nami.bo – Challenge your financial analysis skills” event by Nami Corp. was held on March 23, 2018 in Ho Chi Minh City. All activities were filled with excitement. The majority of the audience wereNami contributors who hold a large quantity of NACs on the market. Through this event, the Nami team revealed some interesting information and answered many enquiries from the contributors. To wrap up, contributors did not forget to make sincere comments on Nami. We have introduced the product chain inside Nami ecosystem to the contributors, from the very first products such as Nami Assistant , nami.trade, nami.exchange and nami.today to the latest ones like nami.tv andnami.labs. Especially, nami.options, nami.mining and nami.fci20 were the main topics of the workshop. As for our shared objectives, Nami hopes the community of contributors will understand the Nami ecosystem as a whole, and will bear in mind that all the products are interconnected, which means they don’t act as a single unit. This way, they will contribute to our ultimate purpose which is maximizing profits for contributors, to the greatest extent possible. Event participants did not only acquire a better understanding of the real meaning of Nami Ecosystem, but also received 1000 NACs and had a chance to grab 1 of the 50 slots to invest into the NAC Pool through nami.options platform. Nami.options – also known as nami.bo, is a platform for Contributors to challenge their ability to analyze and predict future cryptocurrency market trends. This product supports multiple platforms and offers the opportunity to purchase an NAC at a lower cost. Are you interested in this fascinating market analysis game but you were not able to attend the event? Do not skip the nami.options tutorial video below. Besides from nami.options, a new product of the Nami ecosystem – nami.fci20 was also mentioned over the offline workshop. It is the pioneer index fund in Asia, which servers as a professional tool for anyone who wants to invest in “Top 20 Crypto”. Since this most popular index fund in Asia is full of traps and inconveniences. The transaction costs are very high, the risk is even higher because of attacks, difficulty in control and management of personal wallets, etc. Therefore, nami.fci20 has been created to address those imperfections. 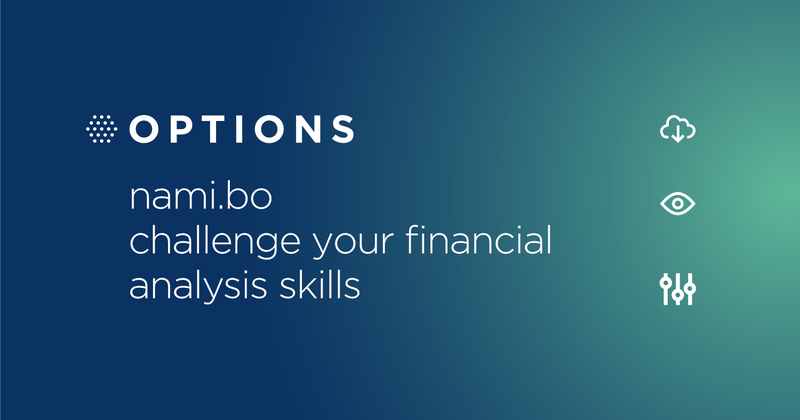 The event “nami.bo – Challenge your financial analysis skills” gave us a chance not only to introduce in great detail our two new products: nami.options and nami.fci20, but also to share some initial successes, crucial for our projects. It also tightened the connection between contributors and Nami Corp.
Nami team wants to express our gratitude towards the community of Contributors, who always believe in our mission and vision. See you at future events and conferences!